I have been on the hunt for Liz Uy's book since it came out. I have scoured all National Book Store branches from Manila to Makati to Taguig and even Pasay to no avail. When I saw it at a very unexpected place - a home and garden store, I immediately bought 2 copies - one for me and one for my lovely blog reader who wants to amp their fashion ante. 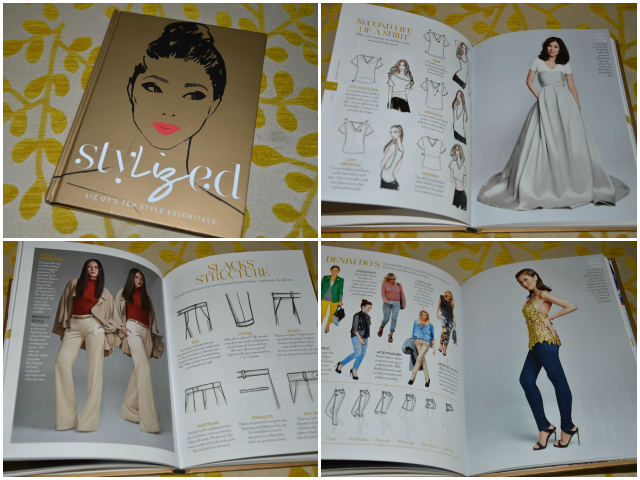 Yes, I am giving away one coveted copy of Liz Uy's Style Book. This is open to everyone who wants to get Stylized. Join by filling out the Rafflecopter below. "The power stylist's new book is all about the building blocks of a functional wardrobe." "This book is a must-have for all women who want to achieve Liz's fierce, fabulous style. It's going to be the new fashion bible of the Philippines!"